Leading renewables investors and the Solar Trade Association have written to energy secretary Greg Clark, urging him to end solar’s spell in the Contracts for Difference wilderness. The letter, co-signed by representatives from the likes of Foresight Solar and Lightsource, was sent on the eve of the government’s Clean Growth Strategy publication and crucially, prior to today’s announcement of £557 million of funding for less established technologies. The investors address the secretary to express their concern regarding the “current vacuum in government policy” they argue is “holding back considerable levels of investment” in utility-scale solar. 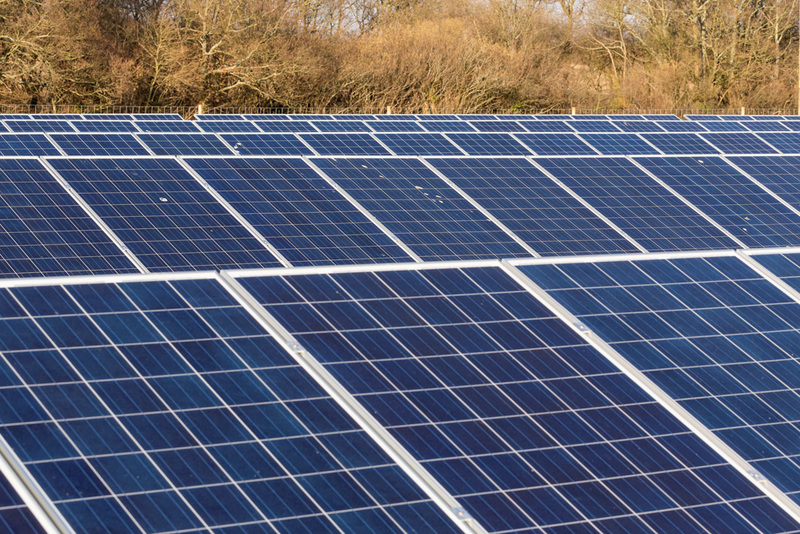 It stresses industry views that solar could deliver power as cheaply as £50-54/MWh by 2020 – lower than the BEIS estimate for 2016 – and references “numerous” solar projects that have both planning permission and grid connection agreements waiting to be developed. “The only barrier to unlocking the new investment needed to build these assets is access to long term contractual arrangements, which are particularly important to solar where the vast majority of the costs are in upfront capital,” the letter states. Solar was allocated to ‘Pot One’ as a mature low-carbon technology for the first CfD round in 2015 alongside onshore wind, resulting in five projects being awarded contracts. Two almost immediately withdrew from the process having struck an uneconomical strike prices of £50/MWh, while a further project collapsed. Two projects did however complete and were energised earlier this year, namely those brought to market by Lightsource and Cambridge County Council which are both generating at a strike price of £85.02/MWh including inflation. But since then solar’s route to market via CfDs has been blocked after BEIS took the decision to limit subsequent rounds to less-established technologies. Further rounds, which are being supported with £557 million of funding, also look set to be earmarked for less-established technologies. Paul Barwell, chief executive at the STA, said today’s announcement was good news for clean energy but was quick to point out that solar remains locked out. “Solar has delivered incredible cost reductions and can continue to demonstrate this in the marketplace if it is given policy certainty and fair access. The UK needs a balance of low carbon generation and solar with storage is an essential part of that mix. “Recent wind prices are good, but consumers will benefit from even lower prices and faster decarbonisation when the government provides a level playing field that enables solar power to compete for long-term CfD contracts. We hope the Clean Growth Strategy will tomorrow move to level the playing field for solar power,” he added. And Matt Black, senior investment manager at Foresight added that cost reductions in solar meant that the technology now offers the lowest generation costs in several global markets. “Competitive auctions drive significant cost reductions, as can be seen by the recent auction result for offshore wind. The UK has a leading solar industry which would be able to deliver cost-effective new generation if it was provided with fair market access. The days when solar was reliant on significant public subsidy are over but what the solar industry needs is a route to market and the ability to compete,” Black said.